This past March, a group of education leaders and practitioners from across south Texas convened to immerse themselves in the research and theories of teaching and learning science. 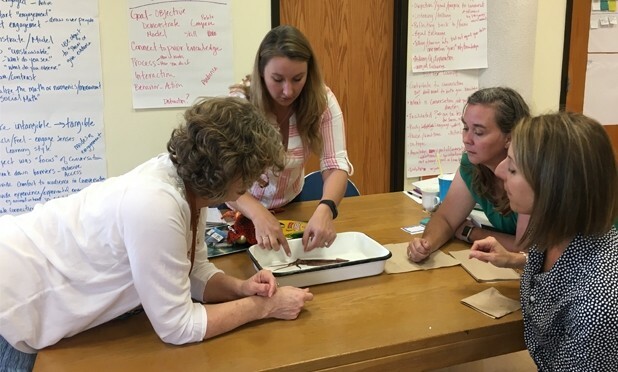 This “Reflecting on Practice” workshop was hosted at The University of Texas Marine Science Institute and is a nationally recognized professional learning program for informal science educators who work in zoos, museums, nature centers, and aquariums. Throughout the workshop, the educators explored strategies to reflect upon their own teaching to improve the way they communicate, design programs and support learning, including building a shared language and understanding and establishing habits of reflection and observation. One such technique utilizes videotaping and review with colleagues. This workshop is supported by the National Science Foundation and the University of California-Berkeley.